Guest Farm, 5 km outside town. 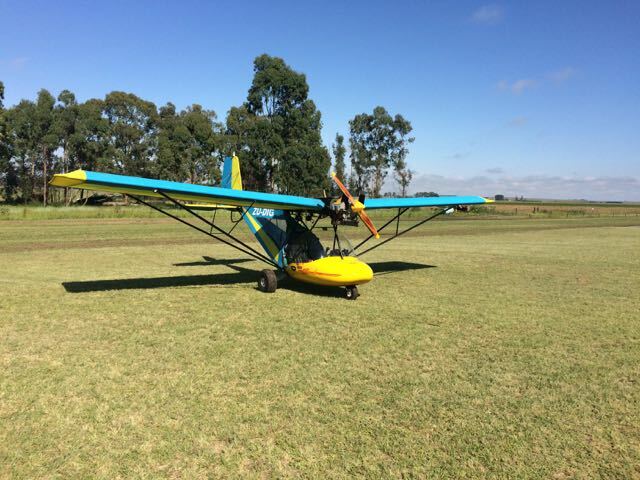 • It is a 1 km long grass strip upgraded in 2014. • You need to confirm if you would like to fly in, because we have to inspect the runway for cattle and sheep. • Only 50 minutes flying from Gauteng. Call Nico on 082 8022 146 to make arrangements. Every year for the past 22 years, Nico has played a role in fire fighting with his spotter aircraft, a Cessna 182 during winter months (June to October). 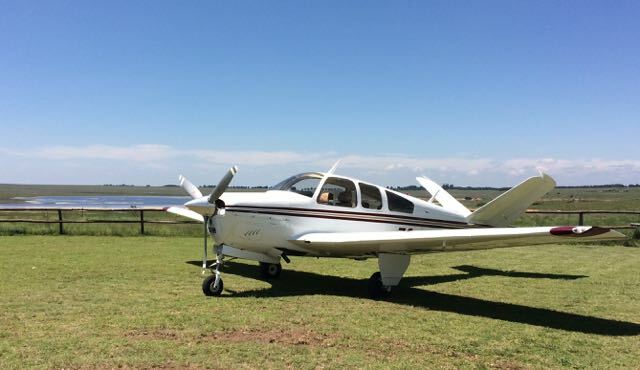 Nico is a commercial pilot with more than 2 000 hours flying time in these particular planes. 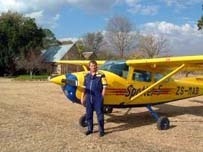 He has been passionate about flying since he was very young and started to fly micro-lights in 1984. 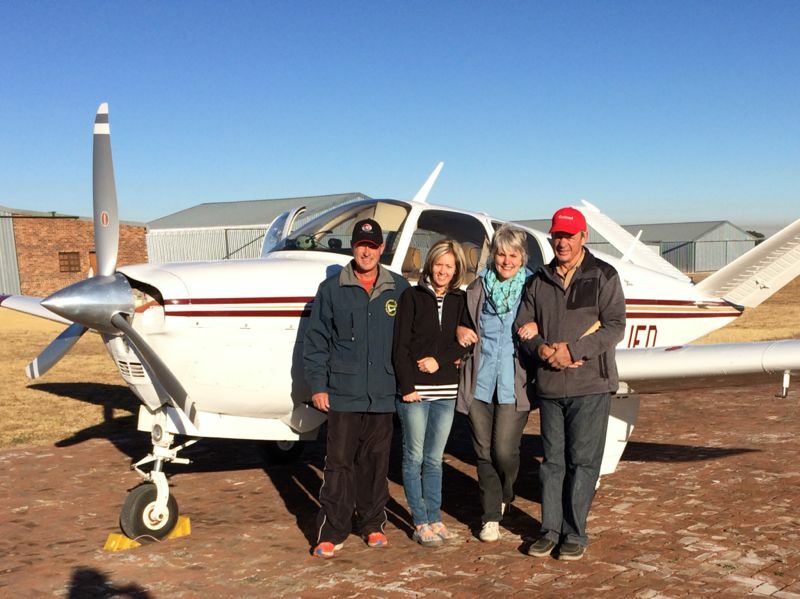 In 1990 he obtained his commercial pilot’s licence and since then has been a spotter plane pilot at the Warburton fire-fighting base (about 28km from Florence). 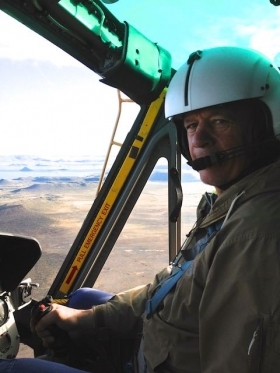 When he turned 50 in 2009, he took on a new challenge, and obtained his commercial helicopter license. He has done most of his flying on the UH-1 B-205 (Huyie) Helicopter, by now over 500 hours.In 2014, Nico resigned the fire fighting, to come and help with the very popular wedding Venue. Ané are travelling far and wide, enjoying it tremendously. Their son Wilhelm was so inspired and got his PPL in 2015.